Good news for all you train travellers! You would now be able to cancel your confirmed tatkal ticket and still get 50% refund of the ticket price. Railways has also changed the timings for booking tatkal ticket and this time they have allotted different time slots for booking AC and non-AC tickets. The timings for booking tatkal ticket will remain the same i.e. from 10:00 am to 12:00. You would be able to book AC tatkal tickets only from 10:00 am to 11:00 am while for booking non-AC tickets, the passengers would have to book them in between 11:00 am and 12:00 pm. Up till today, no refund was issued to the passengers for cancelling confirmed tatkal tickets but from now on the passengers would get 50% refund of the ticket booking amount. After the launch of ‘Premium Trains’ with dynamic ticket pricing this peak season, Indian Railways is also planning to launch ‘Tatkal Special’ trains for boosting its revenue while catering to the huge demand. As suggested from the name, the fares of these trains will be on the lines of tatkal ticketing scheme booking service and will be more expensive than the normal tickets. While the tickets for the ‘Premium Trains’ can only be bought online, the tickets for ‘Tatkal Special’ trains can be purchased both online and from the railway ticket windows. In contrast to the normal tatkal tickets which have to booked only 24 hours before the journey, the tickets for tatkal special trains can be booked within a reservation period of 10 days to 60 days before the journey date. 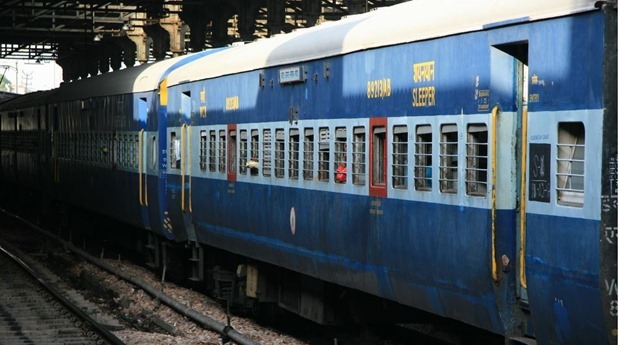 IRCTC had recently partnered with Spicejet and GoAir for letting its passengers with waitlisted train tickets upgrade to flights by paying a little extra over their train ticket amount. And now the Railways has announced new type of trains and revision in tatkal ticketing scheme. A lot has been going inside the Ministry of Railways for improving the revenue stream of the cash-strapped Railways and for the betterment of its passengers. We would also like to hear when the Railways will start providing Wi-Fi in trains. "IRCTC Revises Tatkal Ticket Booking Timings And Cancellation Fees", 5 out of 5 based on 1 ratings. How many days earlier premium tatkal ticket is booked. Can I book premium tatkal ticket in advance on Monday for Friday journey . Is the logic of assigning seperate timing for booking AC and non-AC tickets reasonable. That too, AC first and non-AC second. If my preference is non-AC; however, i am desperate to travel, I would be coerced to book AC lest i dont get a ticket at all!